For the last two decades, virtuality and virtualization processes have been considered as developing phenomena in management studies, particularly within the context of the creation of inter- and intra-organizational networks, establishing strong relationships with customers and the appreciation of intangible assets in marketing. The purpose of this chapter is to identify the main directions of virtualized marketing and present the detailed changes that occur in marketing due to extensive and intensive Internet usage and the directions of network technology development and its impact on prospective marketing activities. The proposed analyses help to understand the multifaceted impact of the Internet on marketing—its concept, activities, and organization—going much beyond simple “e-marketing” perspective. The presented conclusions can be of significant value for both researchers and marketers. It can particularly influence further research on the relationship between the marketing virtualization and the company's performance, showing the real impact of such processes on the effectiveness and efficiency of a company. The final conclusions will be interesting to marketing managers, who in the cybermarketing era have to deal with new challenges of collaboration, customers' engagement, and value network creation. The continuous dynamic development of network economy and globalization processes form the substantive background for deliberations regarding the processes of marketing virtualization and their role in network value creation. Theory comprising discussions i.a. whether it is necessary to separate and to articulate the importance of network theory as an alternative to e.g. transaction cost theory which hitherto has been successfully dealing with many processes occurring in the economy. In fact, the key area of activities performed by enterprises in the network economy is the utilization of the potential of the Internet defined as a multidimensional system of computer networks, applications, and computers with data gathered therein, determining – due to its features and the potential of being utilized by users – a range of changes in the socioeconomic life, including the operation of enterprises. Internet is nowadays one of the key drives of changes occurring in marketing. ICT bring us closer to accomplish the marketing mission of maximizing the satisfaction of buyers by simultaneous maintenance of profitability and considerable improvement of intraorganizational processes. The contemporary marketing has been vividly described by M. Brady – according to him, the word ‘marketing’ should be hereafter spelled ‘MarkITing’, thus reflecting the wide impact of utilizing ICT in the modern marketing activities (Brady, 2002). Another idea seems to be as accurate as the latter one – C. Holland and P. Naudé argue for considering marketing as “the ability to process information” owing to the key role of that asset in the contemporary economy (Holland, Naudé, 2004). Customer’s market, not bidder’s market Customers are better informed and act on a hypercompetitive market. The challenges comprise: attracting customer’s attention and shaping relationships with customers. Consumers are more demanding towards enterprises operating in Internet; when acting as a group, consumers might exert more influence on the enterprise and its offering. Market fragmentation Mass individualization along with – owing to data and information on customers – segmentation based on more restrict criteria force enterprises to fight for shrinking consumer groups (target markets). Independence from geographic location Internet eliminates the problems of traditional distribution or communication with customers, suppliers etc. Elimination of time constraints Automation of many processes enables markets in Internet to work constantly. Interdisciplinarity Marketing managers who want to perform their tasks with help of Internet are forced to acquire new competencies – especially in the area of technologies. Global range Providing market participants – both consumers and enterprises – with new market spaces, Internet forms foundations for establishing agreements, partnerships, and cooperation between enterprises. Information management An important challenge for the contemporary marketing is the ability to manage information in a manner enabling to collect knowledge constituting a real advantage for the enterprise. Implementation of open standards Companies collaborating with the purpose of creating a value chain may use databases possessed by their partners, integrate their systems for managing relationships with customers and source their assets, which in turn enables the enterprises to focus on value generation. 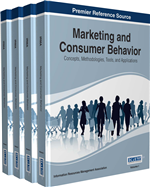 Reduction of information asymmetries Companies implement procedures of mass individualization in the area of marketing communication; consumers are given expanded access to information regarding products and prices.